WANKULUKUKU – Defending champions of the Stanbic Uganda Cup, Kampala Capital City Authority (KCCA) will face off in Saturday’s Super Cup game against Vipers Sports Club at wankulukuku stadium. 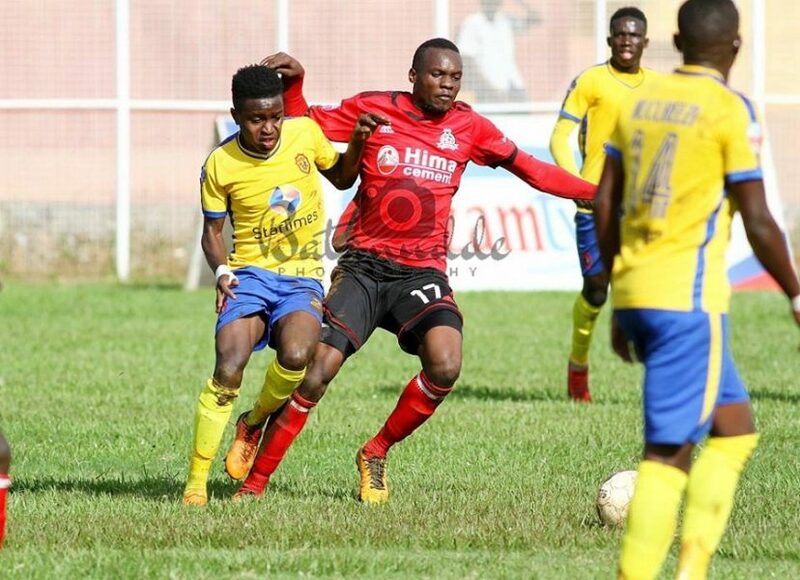 KCCA FC will be hoping to retain the title they won last year when Mike Mutebi’s charges saw off Paidha Black Angels 3-0 courtesy of goals by Patrick Kaddu, Allan Okello and Tito Okello. Going into Saturday’s encounter, Mutebi said he’s side is ready to face off with Vipers because they have trained well and have had a good pre-season in which they have not lost to a top flight team. “We have prepared well and I am glad to see arguably the best teams in the country play the Super cup, said Mutebi ahead of the game. “The boys know each other very well and they are the best players in the Country right now. Allan Okello ‘the special one’ as he is addressed by his coach (Mutebi), promised to utilize chances and play good football to see that they win the trophy because they have prepared well. “The match won’t be an easy one because both teams have been preparing for this day and since the league is approaching soon, we need to show our fans and coaches that we have prepared, said Okello. “We hope that a are able to capitalise on the opportunities that come our way and on top of all, play a good game that will excite the fans. Vipers on the other hand go into the game after winning the league title last season. However, the Venoms have endured a frustrating off-season in which they have lost several key players including Captain Nicholas Wadada and first choice goalkeeper Ismail Watenga. In turn, they have brought in some exiting players including ex-UPDF FC custodian Bashir Sekagya who is expected to start in goal on Saturday. The other major new face at the reigning league champions is Mexican tactician, Javier Espinosa Martinez who replaced league winning coach-Miguel da Costa. This will be Martinez’s first competitive fixture with Vipers. This will be the first game between the two side since KCCA defeated Vipers 1-0 in Bukedi to win the Uganda Cup. There has not been a drawn in any of their last five competitive fixtures. In the period, Vipers have registered three wins and lost the other two games. There has only been one goalless draw between Vipers and KCCA since 2011. The stalemate occurred in a league game back in April 2016 at Lugogo.